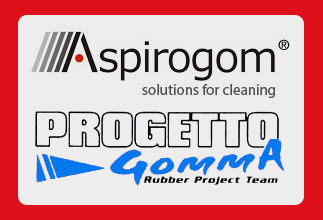 Professional line of accessories made with special mixtures, resistant to oils and refrigerant fluids on factory shop floors. Ideal for removing abrasive materials such as metal shavings and splinters, concrete and marble debris, glass, ceramic and aluminum dust. 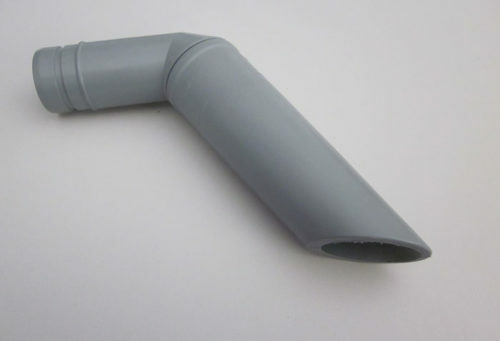 ALIEN – Flexible bent nozzle, 90° angle, length 250 mm, internal diameter 32 mm. 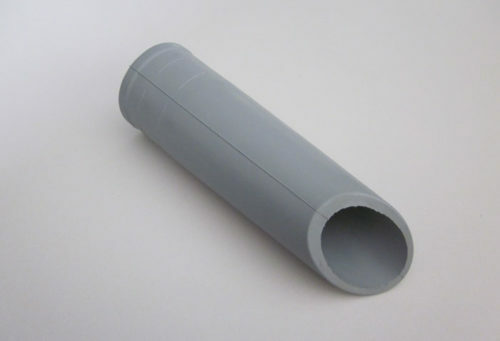 Also available in 38, 40, 44, 50 mm versions. Other diameters on request. 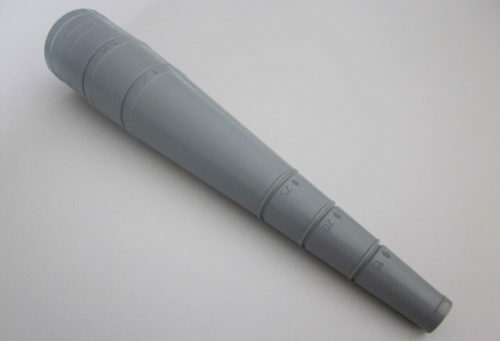 BIG CONE – Adjustable length cone, length 300 mm, internal diameter 50 mm. Also available in 38, 40, 70 mm versions. Other diameters on request. 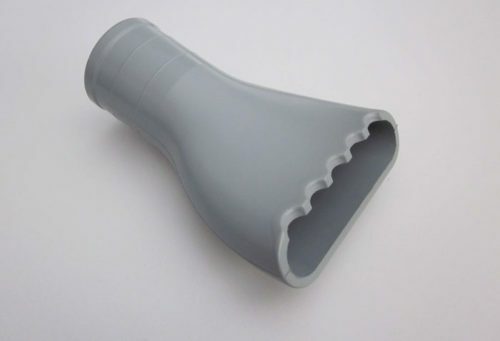 PREDATOR – Curved cone, 45° angle, length 290 mm, internal diameter 50 mm. Also available in 38, 40, 70 mm versions. Other diameters on request. 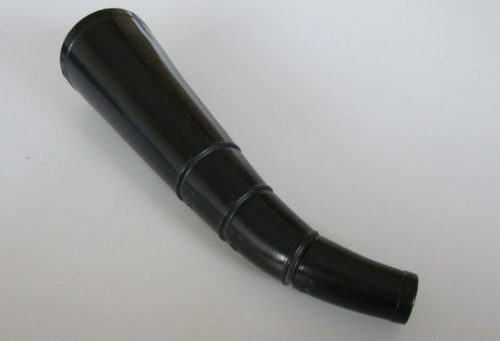 RAKE – Rubber flat nozzle, length 200 mm, internal diameter 70 mm, suction inlet 120 mm. Also available in 38, 40, 50 mm versions. Other diameters on request. 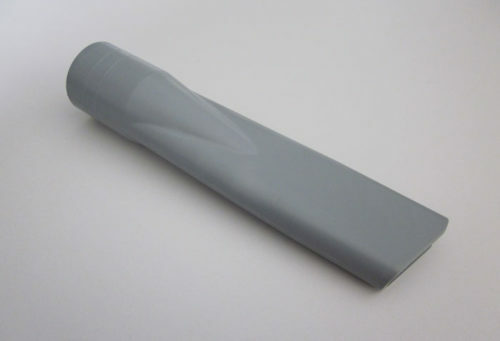 CARS – Non-marking, flat-inlet crevice tool, length 240 mm, internal diameter 44 mm. Also available in 50 mm version. 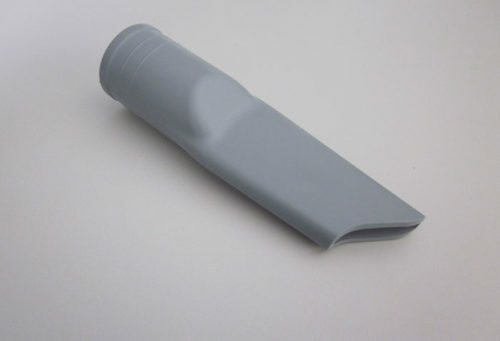 HAND TOOL – Hand scraping tool, length 170 mm, internal diameter 50 mm, suction inlet 120 mm. Also available in 38, 40, 70 mm versions. Other diameters on request. 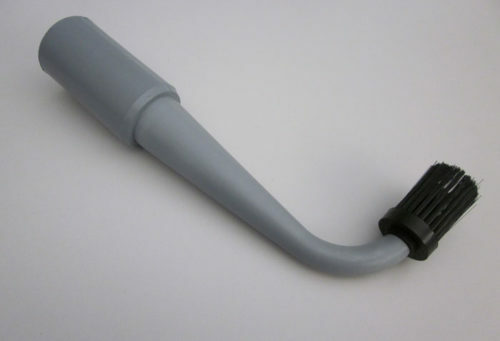 ALIEN 40 – Flexible bent nozzle, 90° angle, length 320 mm, internal diameter 40 mm. Also available in 38, 44, 50 mm versions. 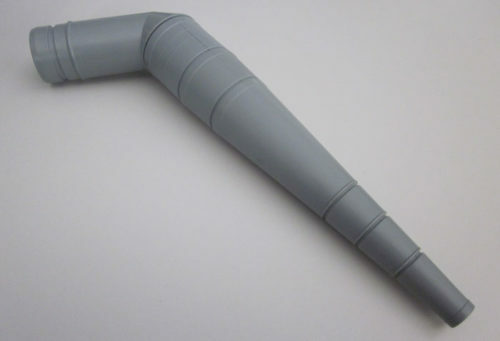 PB GUN – Elongated gun-shaped tool to clean points that are difficult to reach. 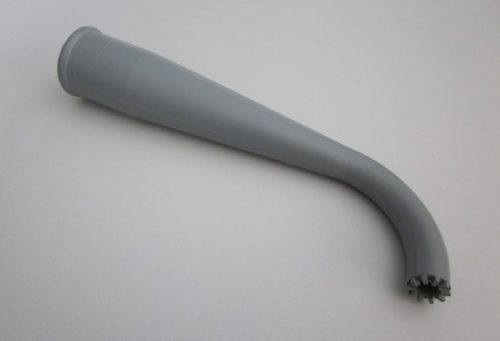 Ergonomic handle, external diameter 50 mm, internal 38 and 40 mm. 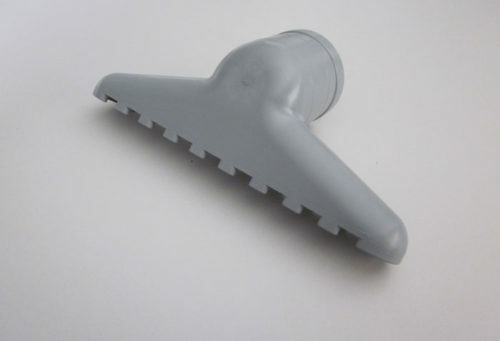 SMALL BRUSH – Flexible bent nozzle with bristles, 90° angle, length 320 mm, internal diameter 44 mm. Also available in 38, 40, 50 mm versions. 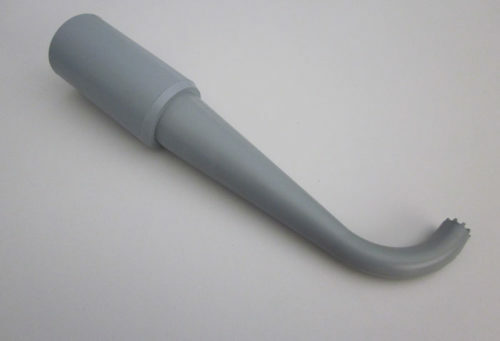 RAKE – Rubber flat nozzle, suction inlet 200 mm, internal diameter 50 mm. Also available in 38, 40, 70 mm versions. 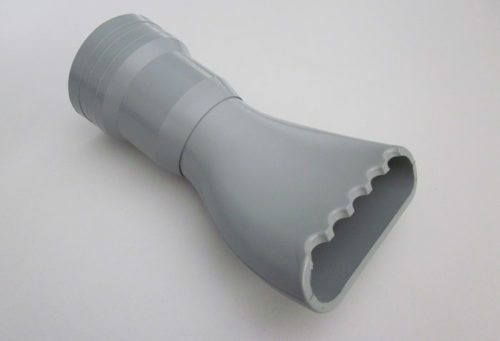 CONICAL NOZZLE – Rubber cone with end tapered at 45° angle, length 195 mm, internal diameter 50 mm. Also available in 38, 40, 70 mm versions. 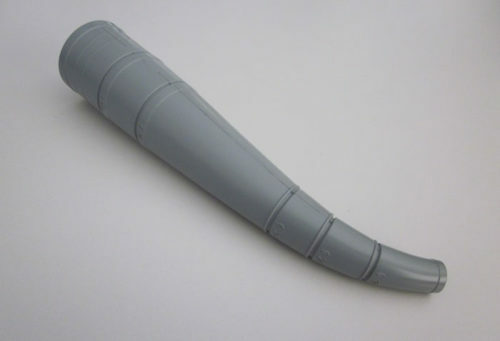 SHARK – Short crevice tool, 45° angle, length 190 mm, internal diameter 40 mm. Also available in 38, 44, 50 mm versions.